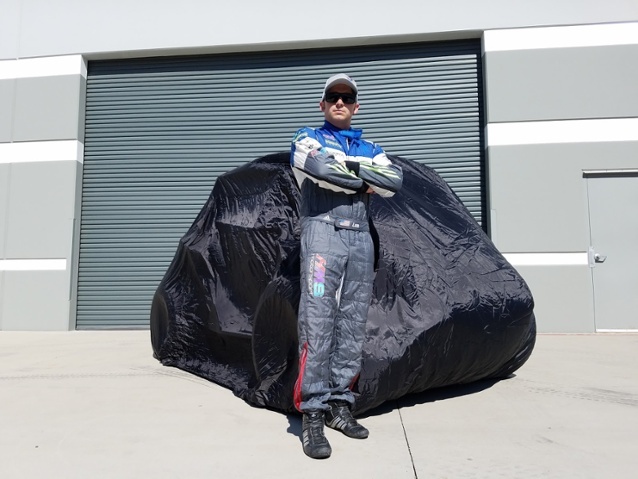 Motorcross champion Brent Lee tells us about the toughest car cover on the market. As part of Seal Skin Covers' brand new campaign initiative to collaborate with the latest and greatest names in the fishing and rally racing community, they’ve caught up with rally racing champ Brent Lee. Brent lives in San Diego and has a passion for all Motorsports and grew up around cars in his father’s automotive shop working on and servicing all types of cars. Brent has shredded some of the toughest terrains in his career and is here now to tell us about why he chooses Seal Skin Covers as the toughest vehicle cover in the game. His two vehicles have led him to multiply victories over the last decade, they consist of his 2012 Ford Fiesta R2 and a 2016 Polaris RZR Turbo. You can check out Brent’s Desert Storm Rally footage here. "...You’re definitely going to want to protect your vehicle with the very best material out there. Some of the biggest concerns I’ve always had looking for a good cover was whether or not it’s going to tear apart by the elements. Most covers only have one layer and that’s it, but these actually have five layers to them. It’s going to be really hard for things to fall and dent your car with this kind of coverage, it’s even hail resistant. I’ve met quite a few people who have to deal with hail damage, especially down in Texas. To most of us our cars are our most valuable assets, the thought of leaving them unprotected outside scares us. The worst experience I’ve ever had was a generic fit cover completely blowing off one of my vehicles.It was a relief to find that Seal Skin Covers manufactured their own semi custom fitting covers. The only words that really describe this cover is that it’s ultra tough. I cover both my Ford Fiesta R2 rally car and my Polaris RZR Turbo using Seal Skin Covers. I’ve raced in some of the toughest terrains across country, so when it came down to finding the toughest cover I had to go with Seal Skin Covers. With over 15,000 positive Seal Skin Covers reviews on their website, it goes to show how trusted and well renowned they are." 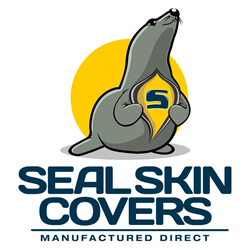 Seal Skin manufactures covers directly for your marine needs. Our business model is unique because we own the entire supply chain allowing us to monitor and guarantee high quality covers at low prices. Seal Skin Covers has been selling high quality marine covers online since 2004. Our team strives to bring you the best quality marine covers with an easy shopping experience. We focus on semi custom covers. Our mission is to provide a great fit at an even better price. Our focus is on helping customers save hundreds of dollars on fully custom covers that are overpriced, un-returnable, hard to install and sometimes made from poor quality fabrics. Brentlee and his Seal Skin Cover.